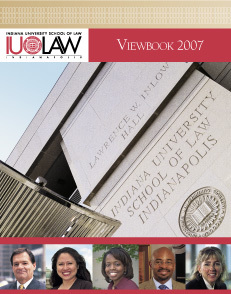 The Indiana University School of Law – Indianapolis is one of two law schools in the IU system. With an enrollment of more than 900 students, it is the largest law school in the state of Indiana. The school has enjoyed great success for more than 100 years in preparing students for their legal careers. The success of the school is evidenced by the prominent positions graduates have obtained in the judiciary and other branches of government, business, positions of civic leadership, and law practice.